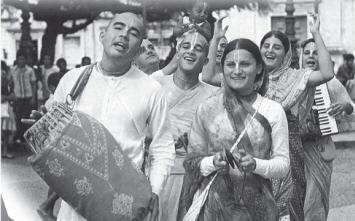 Contains a collection of Hindu Bhajans. The Lord is known as Hari because He takes away the ignorance of His devotees. The name Nathdwara means ‘Gate of the Lord’. Nathdwara is a town in Rajasthan state of western India. It is located in the Aravalli hills, on the banks of the Banas River in Rajsamand District, 48 kilometers north-east of Udaipur. This town is famous for its temple of Krishna which houses the idol of Shrinathji. Nathdwara is a very famous Hindu pilgrimage site. This is one of the most eminent pilgrimage shrines of India, preserving Krishna as Govardhana Giridhari. Nathdwara enshrines Shrinathji – an image of Krishna, which was originally enshrined at the Vraja Bhoomi at Mount Govardhana near Mathura. The image of Srinathji is believed to have been a self manifested one. As per the religious myths, the shrine at Nathdwara was built in the 17th century at the spot as exactly ordained by Shrinathji himself. The idol of the Lord Krishna was being transferred to a safer place from Vrindaban to protect it from the anti-Hindu, iconoclastic and barbarian destruction of the Mughal ruler Aurangzeb. When the idol reached the spot at village Sihad or Sinhad, the wheels of bullock cart in which the idol was being transported sank axle-deep in mud and could not be moved any farther. The accompanying priests realised that the particular place was the Lord’s chosen spot and accordingly, a temple was built there under the rule and protection of the then Maharana Raj Singh of Mewar. Vallabhacharya the founder of this deity’s idol at Govardhan hill, near Mathura made arrangements for the worship and this tradition was continued by his son, Vitthalesh Goswami also known as Vitthal Nathji,institutionalised the worship of Shrinathji at Nathdwara. Shrinathji is worshiped by priests from this kul (genealogical descendants) of Vallabh Acharya, in all Havelis around the world, which have also been established exclusively by them. The temple has everything that is required in a household from transport to food facility for the God Krishna. The Image of Shrinathji Shrinathji symbolizes a form of Krishna, when he lifted the Govardhan hill. In the image, the lord is revealed with his left hand raised and the right hand made into a fist resting at the waist, with a large diamond placed beneath the lips. The idol is carved in Bas-relief out of a monolithic black marble stone, with images of two cows, one lion, one snake, two peacocks and one parrot engraved on it and three sages placed near it. The main attractions are the Aartis and the Shringar, i.e. the dressing and beautifying of the idol of Shrinathji, I was surprise to see that the idol is treated as a living person, adorning it with the appropriate dresses for the time of day or night.Tradition holds that Shrinathji would return to Govardhan some day. I look forward to visit the “House of Krishna” again. Jai Sreenath Ji Ki ! The 10-day-long festival of Ganesh Chaturthi, which celebrates the Birth of the Elephant-Headed Hindu God Ganesha, begins Today. Ganesh Chaturthi falls on the fourth day of the Hindu month of Bhadrapada, which falls around August or September.The festival starts with the installation of new Ganesha idols, in Homes and Outdoors. Ganesh Chaturthi is celebrated with a belief that Lord Ganesha, Son of Shiva and Parvati, bestows His blessings on His devotees, on this day. It is celebrated as the birthday of Lord Ganesha, the God of Wisdom. The occasion becomes very lively and enthusiastic with the devotional songs, dances and drum beats being a part of the procession observed by the devotees of Lord Ganesha, as a part of the festivities. Ganesh Chaturthi is the only festival that involves and welcomes the participation of general public. The festival starts with the installation of beautifully sculpted Ganesha idols in homes and mandaps. The Laddu & Modak is very dear to Ganesha and He bestows joy and grants our well-being. An imponderable ocean of learning, Lord Ganesh is the ordainer of buddhi or knowledge. After celebration, the time of farewell comes and the idol of the beloved God is immersed in water. The celebration ends with the immersion, accompanied by loud shouts of ‘Ganapati Bappa Moraya’. 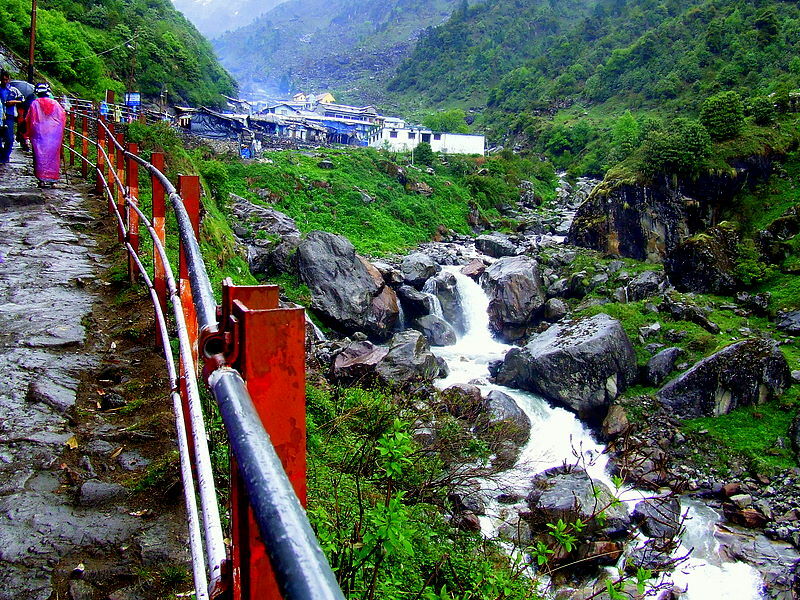 Click on https://swatizutshi.wordpress.com/2012/06/08/trip-to-vaishno-devi-32/ for details. There is festive look all-around today. 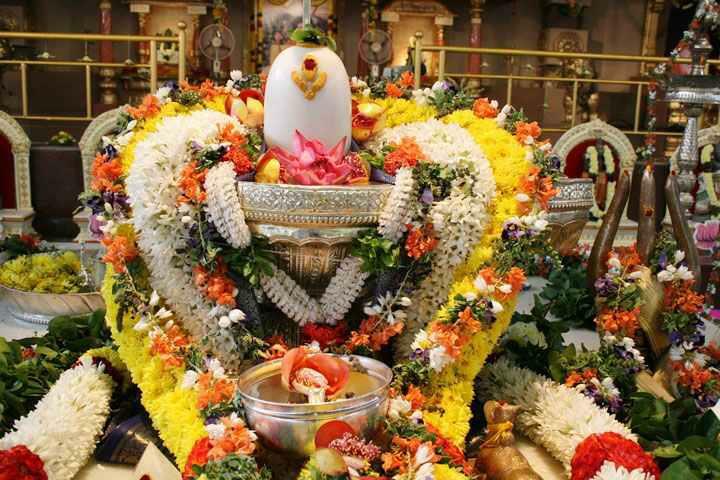 Today is the second last Monday of the Shravan month. The Shiva temple near my vicinity is being thronged by countless men and women wearing all qued up in a line waiting for their turn to come when they will be able to offer the Ardhya of water and milk to propitiate the lord Shiva. 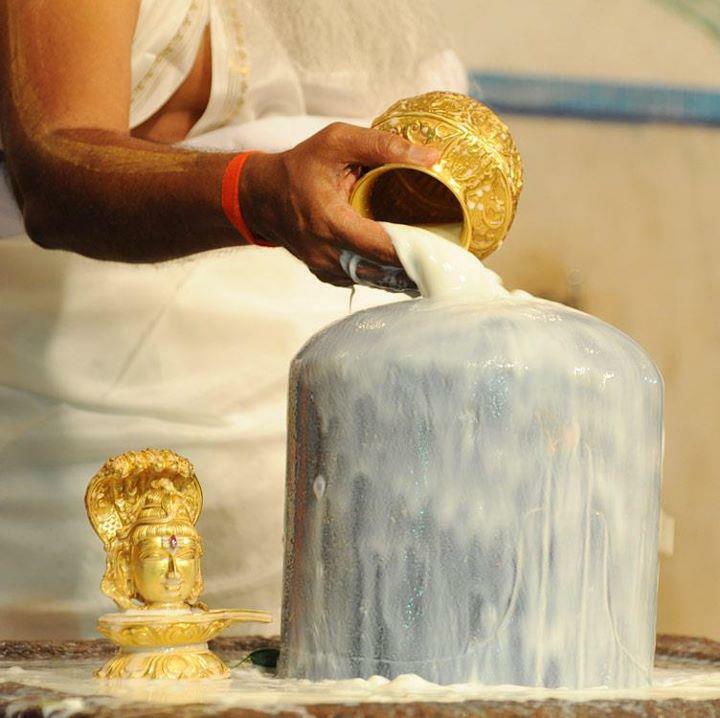 To this day, devotees pour water and milk on Shiva linga to neutrlise the effects of intense heat when the Lord tried to swallow the poison that had emerged from the churning of the ocean. All the sacred men of the ancient times such as Lalleshwari in Kashmir to Karaikal Amariyar and the Nayanars of Taminadu, from Viveka Nanda who was reported to have a vision of Lord Shiva at Amarnath to Ramanand Rishi who found him in the mountains of Arunachal,Tiruvannamalai, Abhaltas and Adwaitists have all been magnetically drawn to the appeal of Lord Shiva. The great father Bhole Baba blessing all human beings without prejudice. Shiva’s blue stained neck with three eyes are symbolic of his power to remove poison(evil) from the universe. He is considered to be Master yogi and a repository of knowledge. He is the king of Gods-The Mahadev. Om Namah Shivaye is eternal chant of the name of Shiva. Shiva is beyond the Gunas, as His trident represents all the three, Tamas,Rajas and Sattva. The attire of the elephant skin is symbolic of his beyond pride. The tiger skin represents his going beyond lust. And the snake around his neck represents wisdom and eternity. His Tandav Nritya is perceived as an allegory of the movement of sub atomic particles, drawing parallels between Indian mysticism and nuclear physics. The Gita relates an impassioned philosophical conversation on the battlefield between Krishna and Arjuna. The Gita is a rare emotional moment within the Mahabharata, where the inexorable forces of plot, fate, and time pause to allow Arjuna to turn to Krishna for guidance. It is normal in the context of major battles to consult during the long build-up period to action; but the improbable physical location of this consultation in the center of the battlefield heightens the emotional aspect and places it even more firmly into this alternate space. Shiva Tandava Stotram (शिवताण्डवस्तोत्रम्) is a stotra, hymn of praise in the Hindu tradition that describes Shiva’s power and beauty. 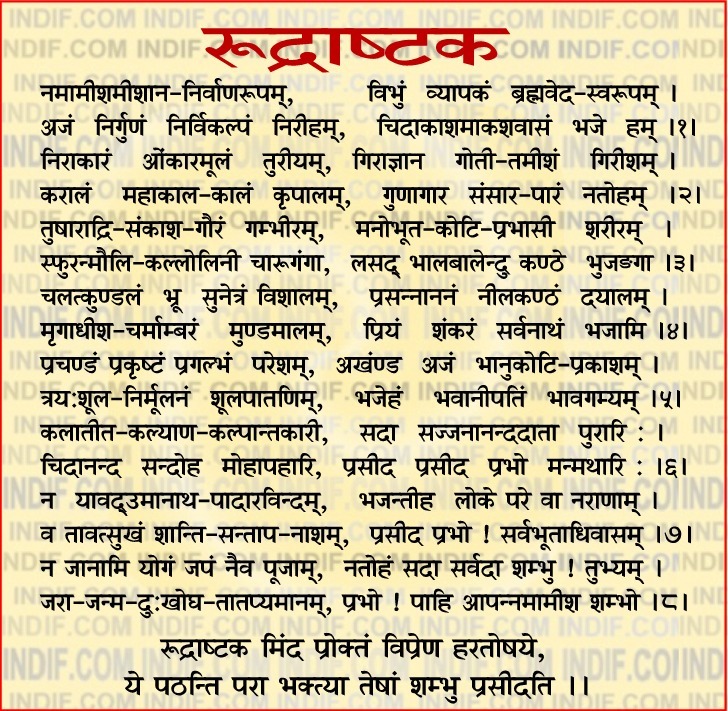 It was sung by the son of Rishi Vishrawas Ravana. A compelling and complex personality, Ravana is for many Hindus a legendary hero, a scholar of immense intelligence. He was obsessed with his powers and was egoistic, and to display and prove his powers he was about to move Mount Kailash (the abode of Shiva who was his ancestor god). He managed to lift the mountain but Shiva immediately placed it back just by pressing his toe crushing Ravana’s fingers in the process. That is when Ravana sings “Tandav Stotram” and he was spared and blessed with Chandrahas (Moon sword by Lord Shiva) considered one of the most powerful weapons in Hindu Mythology. Shiva Thandava Stotram was composed by Ravana. 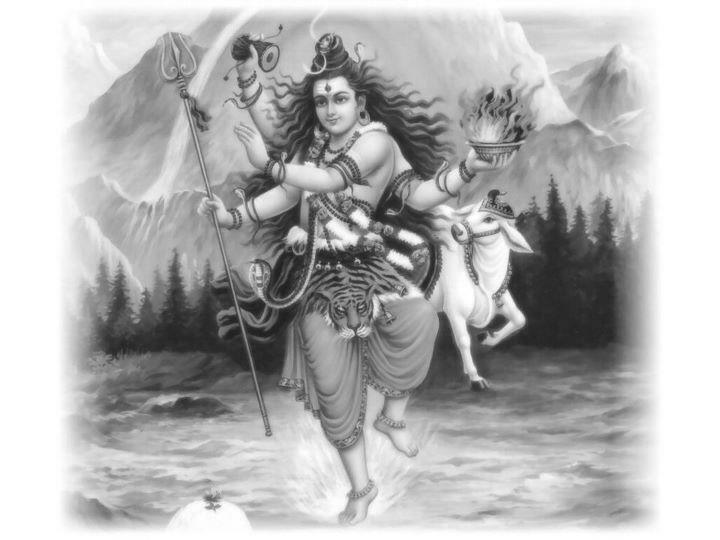 Shiva Tandava Mantra is a great prayer of Dancing Shiva and it is believed that those who read Shiva Tandava Stotram get the blessing of Lord Shiva, and the affectionate sight of god of wealth.